Liuzhou, an important regional center city of Guangxi, is the backdrop of the first episode of the video “A Bite of China”. 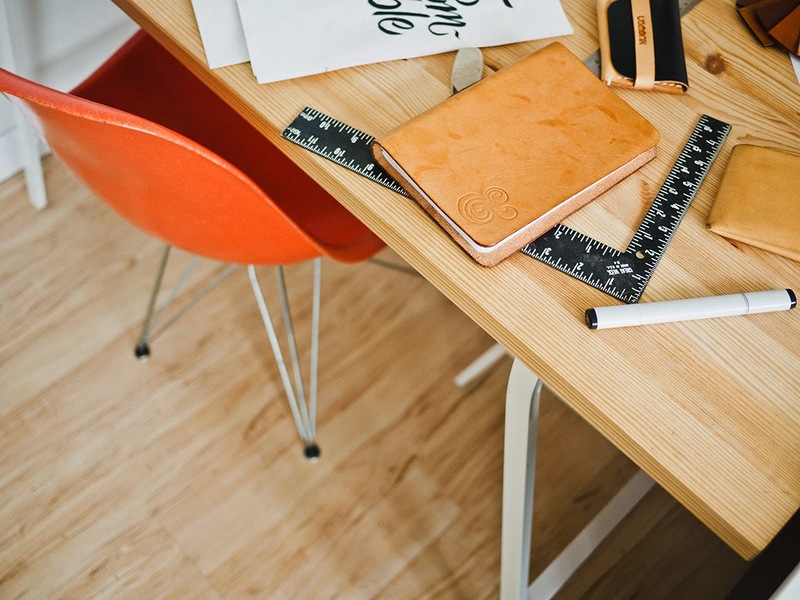 Today, let’s take a look at the food and food-related stories here. In the Chinese culture, the taste not only relate to the taste of the tongue, the smell of the nose, but also beyond the diet. Located in the central of Guangxi, Liuzhou is a heavy industry city in Guangxi. Compared to other locals in other cities in China, Liuzhou people seem to have a more thorough understanding about the flavors. 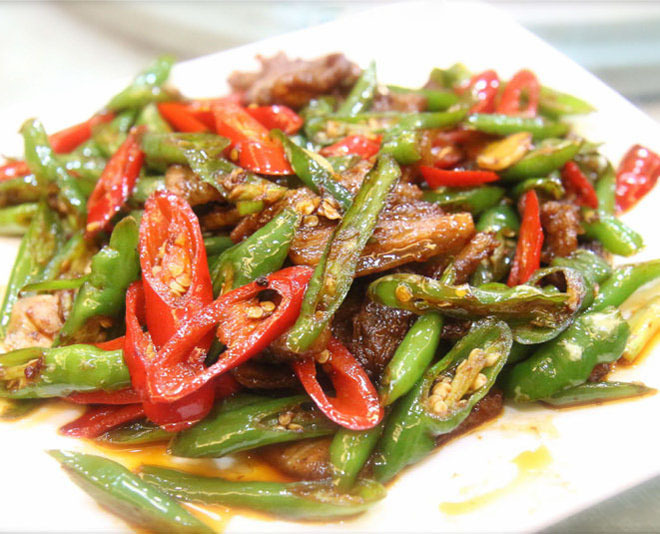 The northerners prefer salty taste; Hunan, Guizhou, and Sichuan are famous for their spicy; while Cantonese like sweet, bitter, but mostly keep away from acid, spicy. 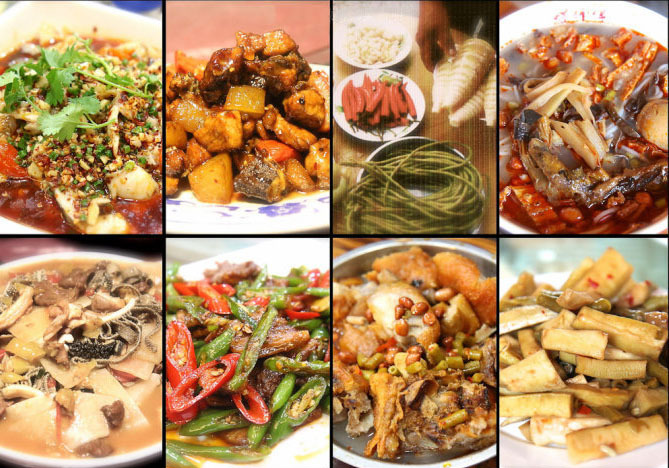 Only in Liuzhou, their food system includes all the taste: acid, sweet, bitter, spicy, salty. In order to preserve food, ancestors have explored a variety of methods, such as cured, air-dried, smoked etc, which makes the food taste better. Today, these secondary manufacturing foods by time still affect the daily diet of the Chinese people, and bear a special feeling of the Chinese nation. 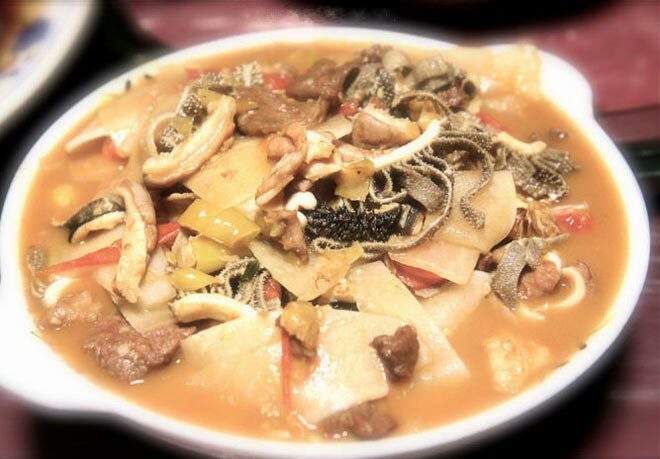 Suansun (Sour Bamboo Shoots): this unique food brings together the essence of the cuisine of Liuzhou. Its acid crisp taste and a rich and exotic taste experience make an unforgettable experience, and become popular after the broadcast of the A Bite of China. 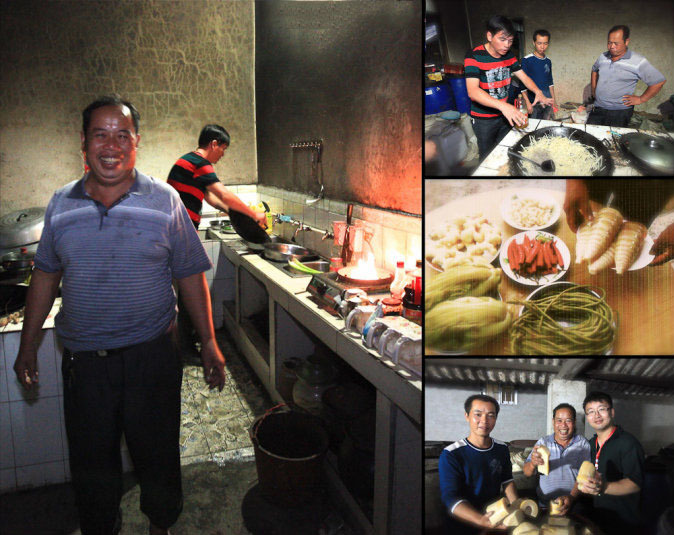 Yaliang Ye is a famer in the Liuzhou Guren Village, whose family has a long history of making suansun. We came and visit to the home of the Yaliang Ye, and then experienced the most original ecological suansun native chickens feast, which was really an unforgettable memory. 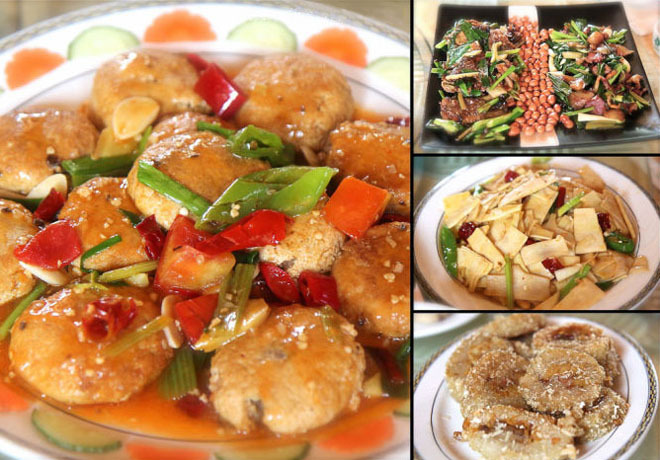 It is easy to make the suansun native chickens feast, with the unique taste of Sour Bamboo Shoots. 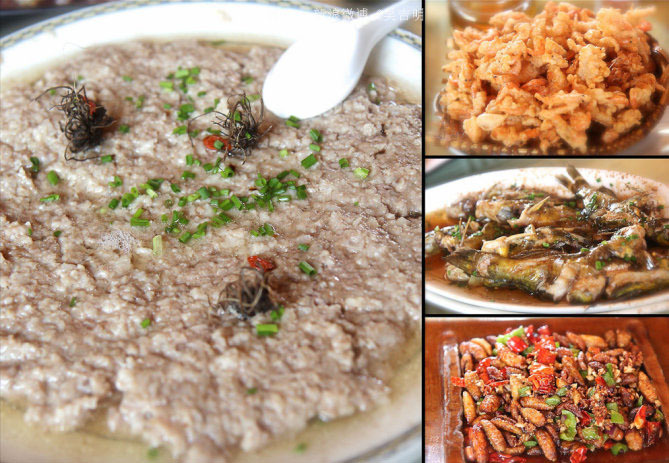 Suansun is the most famous specialty here. 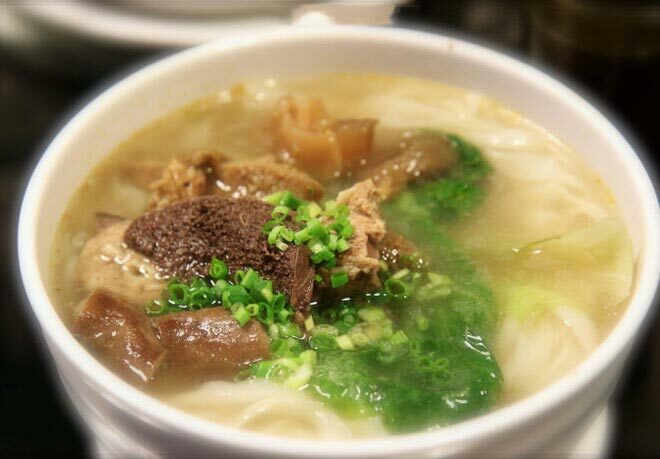 Accompanied with Sour Bamboo Shoots, snail rice noodles is also known as another specialty of Liuzhou. 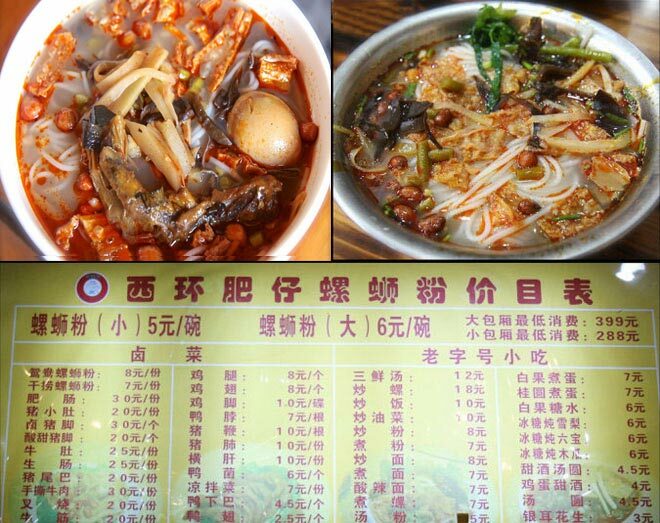 As the most typical and delicious snack in Liuzhou, snail rice noodles has a unique flavor for its mixed taste of acid, spicy, fresh, hot , tasty and refreshing. 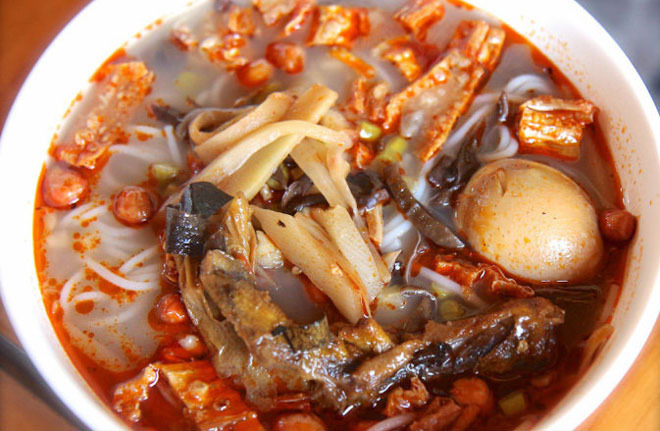 The dish consists of rice noodles boiled and served in a soup made from a river snail stock. 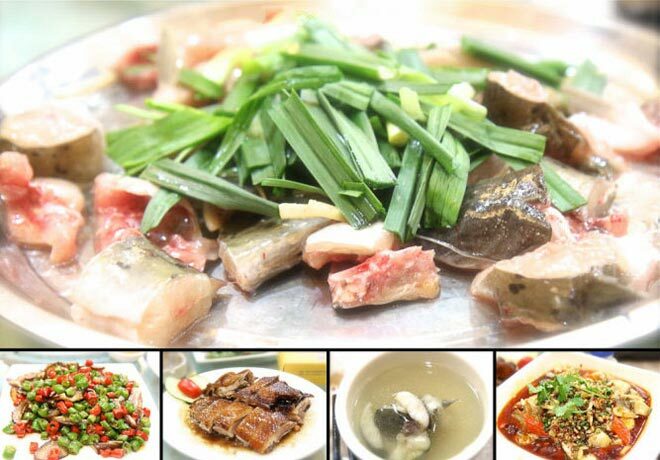 The soup does not usually contain any snail meat but contains various pickled vegetables, dried tofu skin, fresh green vegetables, peanuts and chile. 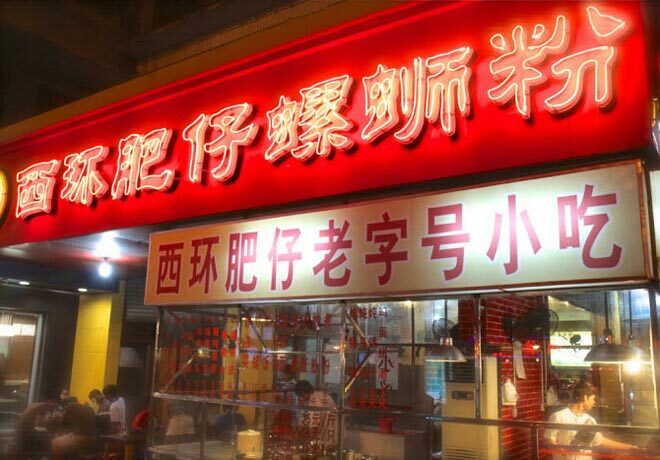 This shop can be said to be the best of the taste of the snail rice noodles. But in fact, every shop has its own ways to make the snail rice noodles, and the taste is not the same, some focused on fresh, while some focused on crisp and spicy. 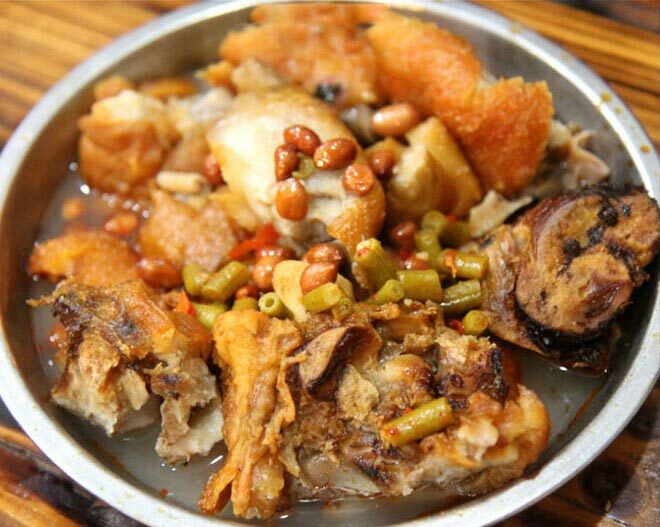 Don’t forget to order some hot and sour pork knuckle, which are the most typical tapas in Liuzhou. 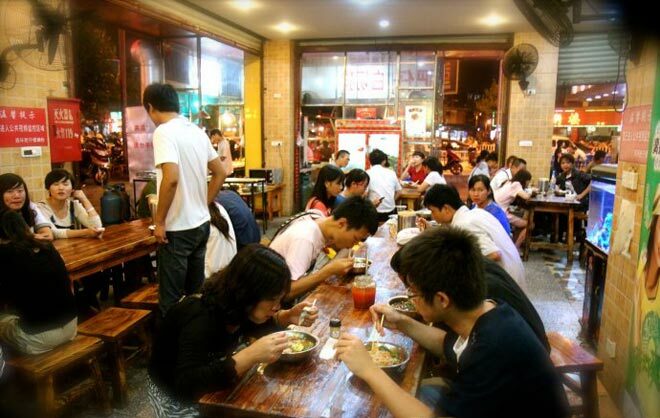 Located by the side of street, this restaurant is very popular. It is said that even the locals need to reserve one day in advance. How could it be? 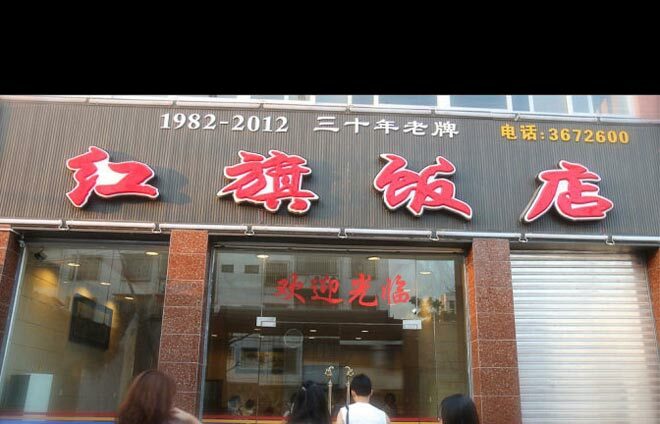 This restaurant is called Hongqi Restaurant, an old shop with the history of three decades. 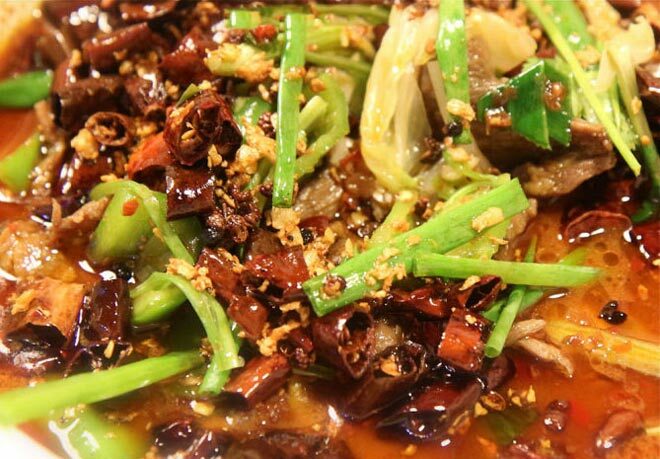 Sour Bamboo Shoots cattle offal is also the representative specialties of Liuzhou. I also recommend the Liuzhou Guobian Fish here, very delicious. 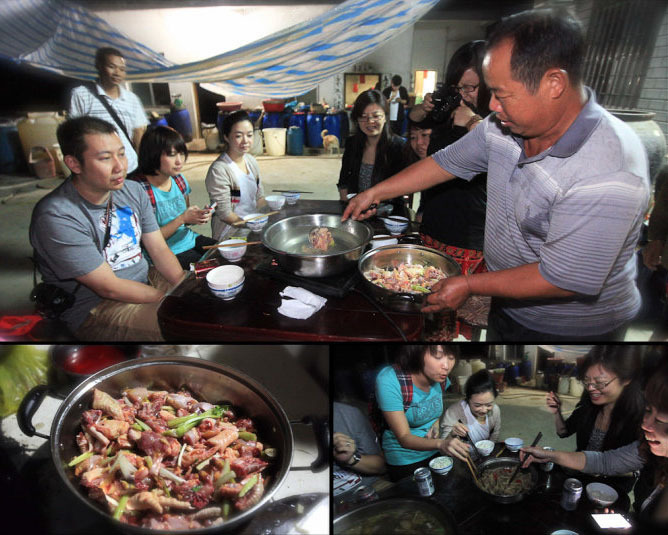 Wangjiang Village home cooking, I love most among the numbers of Liuzhou gourmet. 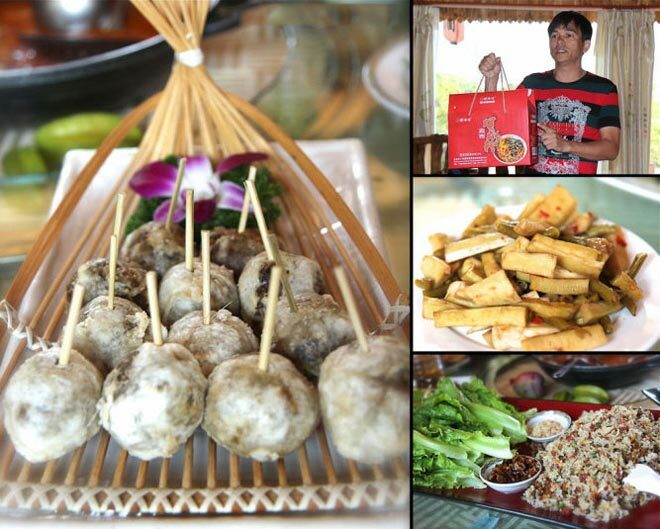 I love the meatballs on the left most among the Wangjiang Village home cooking. 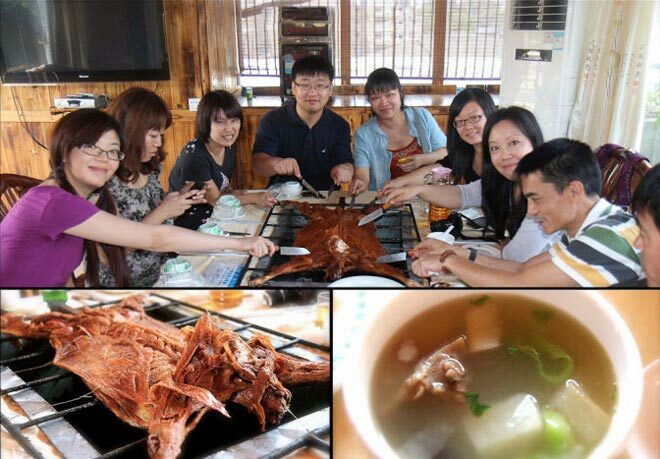 Of course, there are still many other gourmets of Liuzhou. If you like the night life, you can appreciate the nightlife here. Get together with some friends. 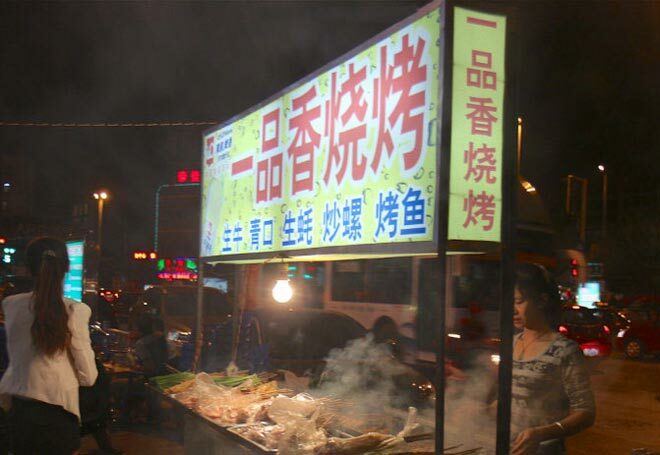 The street features barbecue and a few bottles of iced beer: standard Liuzhou night lifestyle.